Featuring stunningly detailed and painted miniatures you can create gripping Star Wars space battles from small skirmishes with a couple of space craft, to large scale conflicts where multiple squadrons clash against one another. 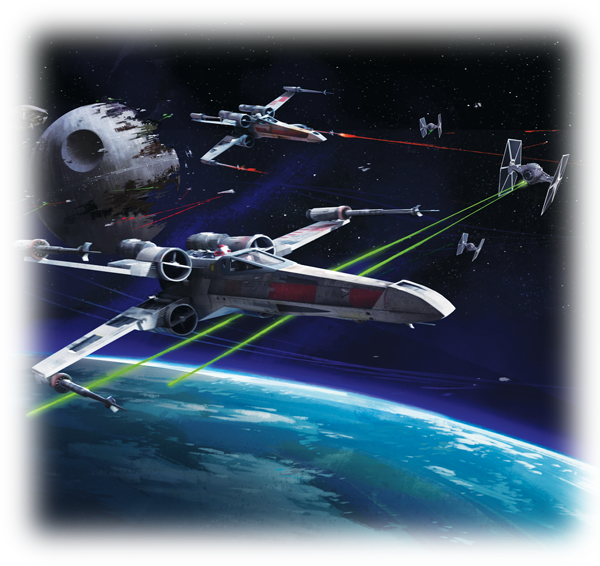 Fast and visceral, X-Wing puts you in the middle of fierce Star Wars firefights. Use each craft’s unique maneuver dial to secretly plot its movement action for each turn. After each player has locked in his movement decisions, the dials are revealed and ships are moved starting with the lowest skilled pilots. Pepper the enemy with blaster fire as you rush into the dogfight, or move into combat range slowly, attaining deadly target locks before you launch a devastating attack. No matter your plan of attack, you’ll be in total control throughout the tense action. 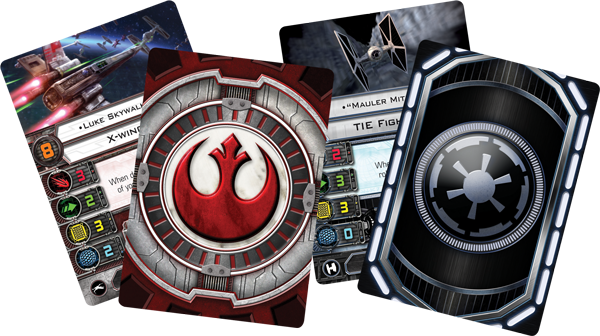 Build your own squadron using X-Wing’s advanced rules to select your favorite starfighters, pilots, and upgrades. Before the game begins, you’ll have a set amount of Fleet Points to invest, which you may spend to customize your squad. Whether you enter the fight with a Rookie Pilot, an experienced Red Squadron Pilot, or even the resourceful Luke Skywalker, you’ll have a range of options before you even fire up your engines. Moreover, arm your ships with astromech droids, extra weapons, or special skills, which have a significant impact on your fighter’s battle performance. For example, while the powerful X-wing can establish a target lock on Imperial starfighters, increasing its offensive potential on a future attack, only the nimble TIE fighter can execute an evasive barrel roll to avoid incoming fire. For additional firepower, add lethal proton torpedoes to your X-wing, or increase the performance of your TIE fighters with additional skills like Marksmanship. These unique actions, along with a range of special upgrades, help create a unique play experience every time. 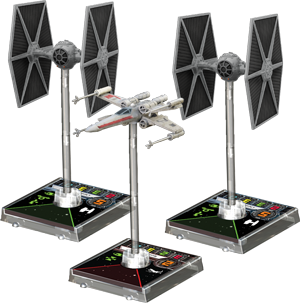 Look for other of X-Wing Miniatures Expansions available at Tritex-Games.